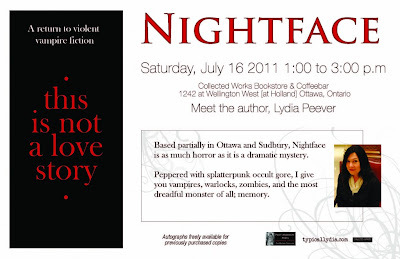 We're very happy to announce that our very own typicallydia will be having a book signing of her first novel "Nightface", July 16th at Collected Works. Come meet the author, chat, and get your book signed. What? You don't HAVE a copy yet. 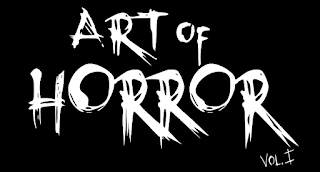 Well that's ok - you can get one online at Amazon, or from the publisher Post Mortem Press. Or if you prefer the good ol' brick and mortar route, you can buy them at Agora Bookstore and the above mentioned Collected Works right here it OT. Don't have any money to buy it? Well that's ok too... we'll be giving away copies right here on the site starting in early July.